All the staff were extremely friendly and helpful. They added to the enjoyment of the stay and seemed genuinely interested in everyone. Opened officially by HRH the Queen in 2013, YHA South Downs is a uniquely refurbished Sussex farmhouse in an enviable location right on the South Downs Way. Perfect for anyone wanting to walk in the rolling Sussex countryside, the hostel is surrounded by the hills of the South Downs National Park, and enjoys substantial grounds of its own. The lively town of Brighton is just a 25 minute train journey away too, with Southease station literally on the hostel’s doorstep, meaning visitors can easily enjoy the best of both worlds. This refurbished Sussex farmhouse and barn building are packed full of original features and there's 66 beds in a selection of dorm rooms and private rooms. There is a small laundry room with a coin operated industrial washing machine and tumble dryer plus a separate drying room with plenty of hanging space. 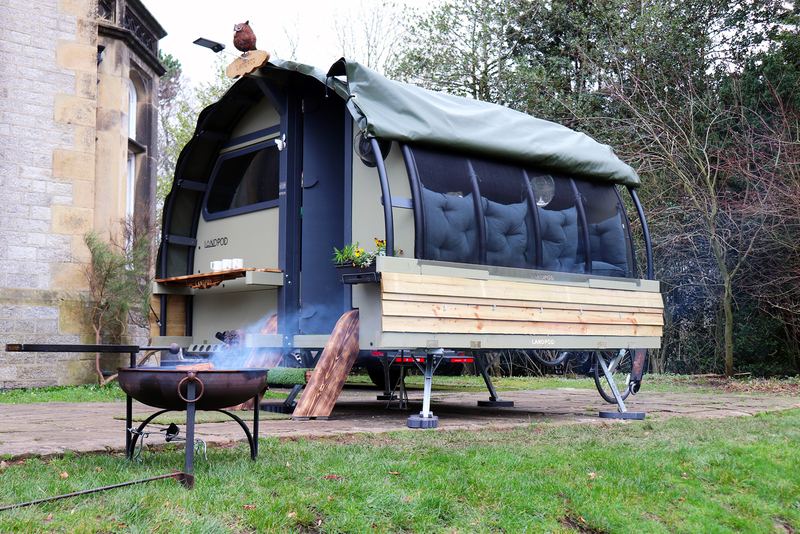 If you love the great outdoors but not the elements that come with camping, these pods could be right up your street. 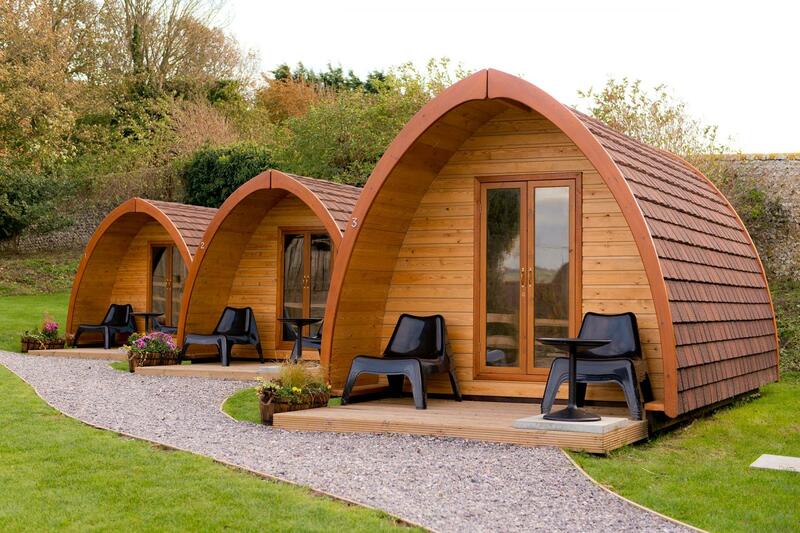 We have four wooden pods which are heated and include bedding. Two Standard Pods sleeping two (on twin beds) and two Large Pods sleeping four (on one double and two single beds) are available in the grounds of this hostel and guests in these pods will have access to all the Youth Hostel's facilities. Each pod also has an individual decking area. Get all the fun of camping but without any of the set up stresses with these beautiful bell tents - part of the YHA Glamping experience. 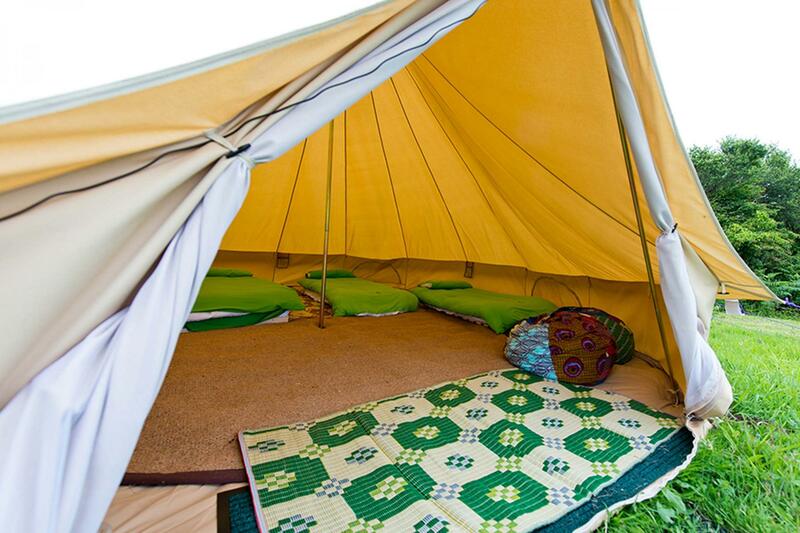 These spacious tipi-like tents are fully kitted out with a double futon bed and two single futons plus all bedding and can sleep four people. They also have eco-friendly solar lighting, a log burner and comfy bean bags for you to chill out on during the day plus bedside tables, a coffee table, rugs and soft flooring. There are two premium bell tents available at YHA South Downs which are available to book for stays between Easter and the end of September. 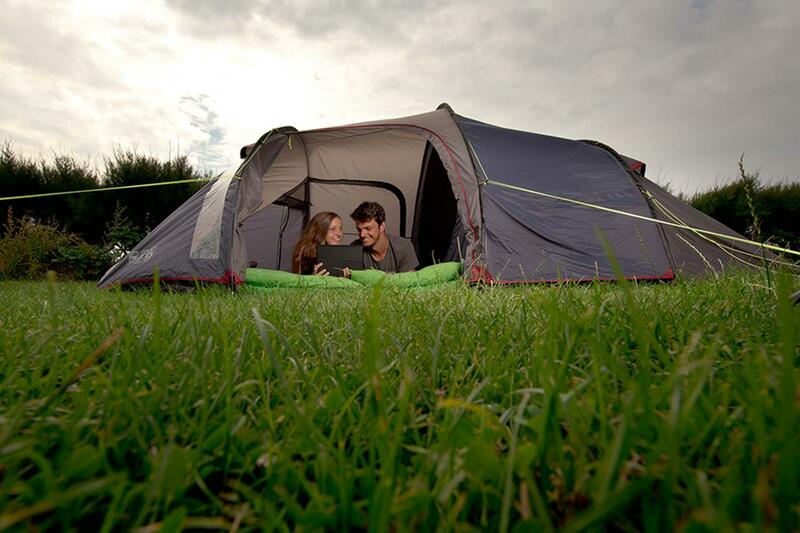 YHA South Downs also offers camping facilities on a limited number of dates. Campers will get the full use of the hostel's facilities. Please contact YHA South Downs directly for more information and to book. 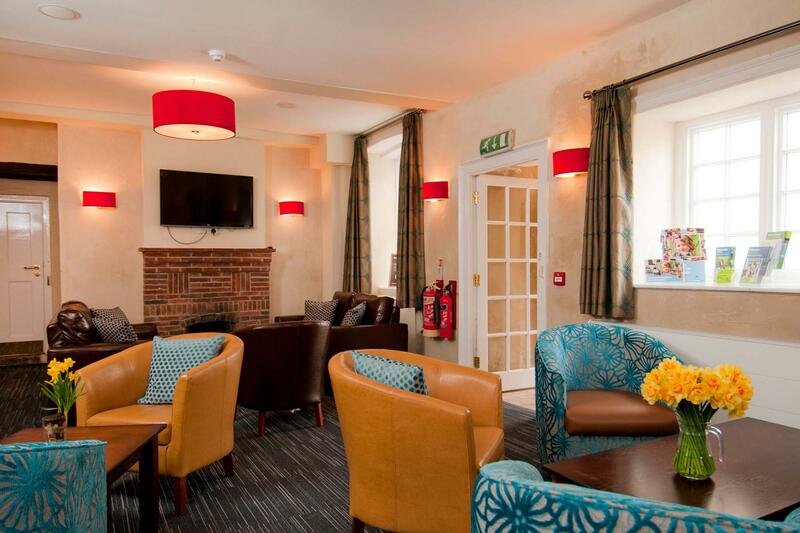 Our Courtyard Cafe provides the opportunity to relax and unwind after a long walk or day on the coast. Offering a broad selection of delicious food throughout the day, alongside a range of freshly made hot drinks and a well-stocked bar. Open daily to guests and passers-by, let us welcome you to rest your legs and indulge your senses after the day’s adventure. High Rocks, with its world class Southern sandstone climbing, is about 40 minutes drive from YHA South Downs, near Tunbridge Wells. The entire 100 mile length of the South Downs Way is open to cyclists, from Eastbourne to Winchester. 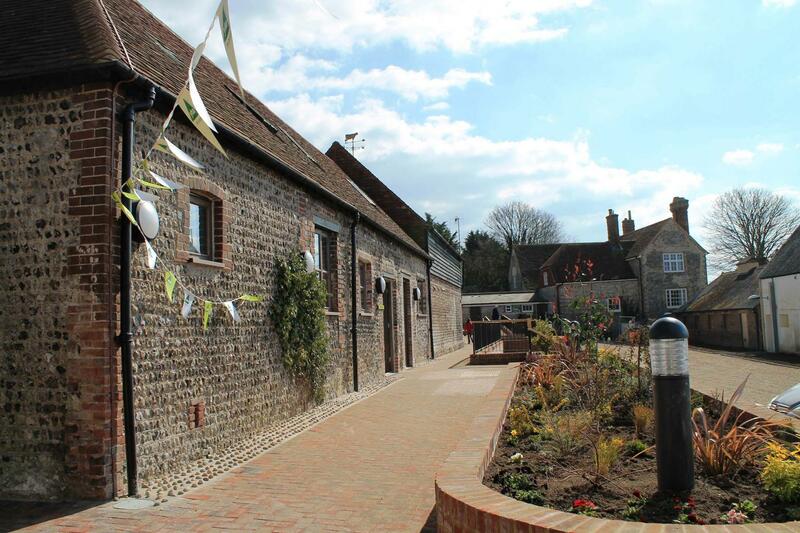 YHA South Downs is great for mountain bikers and road cyclists alike. Various watersports are available from Newhaven Marina or from Piddinghoe Pond, both a short distance from the hostel. Reception times: 7:30am to 10am 3pm - 10pm 24hr access after check-in Courtyard Café Open to the public from 10am until 4pm. We also serve breakfast and evening meals for residents. Parking: There is free parking on site for both cars and coaches a short distance from the hostel entrance. There is parking on the central courtyard, closer to the hostel, for disabled guests. Pets: Dogs can stay on our campsite and in our camping pods and bell tents. There is a £5 charge per dog per night for our camping pod and bell tent accommodation which is payable upon arrival. You can bring your dog for free if you are camping in your own tent. Pets are not permitted in the hostel accommodation at YHA South Downs however, assistance dogs are welcome throughout, please advise upon booking. Make YHA South Downs your home for a few days by booking the whole place for yourself! Visit our YHA Exclusive Hire website for more information. YHA South Downs has state of the art facilities for schools in a traditional Sussex farmhouse and associated buildings with acres of land for on-site activities. The hostel provides delicious meals as well as a library and classroom. At YHA South Downs we have one meeting room available for hire. Capacity: Up to 40 delegates depending on seating configuration. Accessibility: The meeting room is on the first floor and has step-free access via a platform lift. The closest accessible WC is located on the ground floor of the same building. There are marked accessible bays available in the car park. For more information please see our access statement. Air conditioning: There is no air conditioning in this meeting room. There is central heating and windows in the roof which can be opened. Hostel Manager Natalie recommends: Take a stroll up Firle Beacon, just a short walk from the hostel door and take in the stunning 360° views across the hills and out to sea. Afterwards, enjoy a cup of tea or coffee and a cake in our café as a reward for your efforts! You can always wonder at the wildlife - whether it be the wading birds on the beach, the flowers and butterflies of the hillside or the fascinating underwater world of the rock pools.